I passed the SAICA QE1 examination on my third attempt. Below is a summary of my expeirence and what I learnt through that event. First attempt : I was just not prepared. I was too full of myself. I went into the exam room, still not yet over the fact that I passed CTA, first time, part time, while doing my first year of articles! A sure recipe for failure! My second attempt : Was spent on working too hard, not smart. I spent too much time relearning from the board course notes, rather than utilising the board course materials for the questions and mock exams. My studying strategy was also all wrong. Instead of studying my weakest areas first, I left these for the last, ending up with some critical topics with little to no time to revise properly. I learnt that when you swot and go into the exam room hoping that the topics that you did not learn will not be tested, are usually the very same topics that appear in the paper! The principle of what you fear most, is what you attract, applies! My third attempt: Was spent on working hard, and smart. I also decided that I would no longer compare myself to friends and colleagues who passed in the years before me! This time around, I focused on myself and myself alone. I was going to prove that I can overcome this challenge that I was facing and I did. What I have below is a summary of my own exam tips, tricks and strategy for success that helped me to pass on my third attempt. I hope that they can be of use to you. I know that the examination format has changed significantly since the time that I have wrote this examination – but the principles of what I have in this article still applies. This examination is not just about testing your technical skills – it is also a mind game! Before you can start with any exam strategy, you first need to be mentally strong! What you say to yourself is what you speak and what you speak, becomes your reality! Over the exam period and even after the paper until your results come out, be aware of the internal dialogue that is occurring within your mind. Rather choose words like “I AM going to pass.” “I CHOOSE to pass” or the highest form “I would LOVE to pass” these are indicative of stronger and higher emotions that bring you closer to your outcomes. Also note the difference when you say “I need to write this exam” versus “I choose to write this exam” Whilst the first option sounds desperate and almost suicidal, the second where you are “choosing” to do something – is just that – an acknowledgment that your inner soul is calling forth that option! What is your strategy in this exam?? When asked most people will say, my strategy is to pass! This is not entirely correct! Your strategy for this exam is TO FIGHT FOR EVERY SINGLE MARK IN THAT PAPER!! By having such a strategy in place you are then putting yourself in a better position to achieve the overall outcome, which is to pass! Once you have established the strategy (which is to fight for every mark in the paper) you next need to decide how you are going to do this! You need to acknowledge that preparing for this exam is like preparing for a marathon! The exam period is long and exhausting and you need to prepare for it accordingly. A complex B vitamin (This has all the essential B vitamins (B1, B2, B3 B5, B6 and B12) B Vitamins are good for various reasons – especially during studying as it helps the blood carry oxygen, hence essential for energy. They also helps to stimulate brain function and energy production. You will be writing an examination that is long. You will need to sit and write for a long period of time. So in your exam preparation, you also need to start training your body to sit for equivalent amount of hours to your examination time. Train your body to sit and write with minimal comfort breaks; water and food intake. Start this by training yourself to sit under exam conditions with snacks and water in front of you and train yourself to write the question with minimal breaks. If you do this early enough before the exam, you would have sufficient time to train your body to sit for long hours with minimal comfort breaks and sustenance. Board courses include theory that you have already learnt in CTA, now presented in a different way! So be careful not to spend too much of time relearning something that you have already learnt. Depending on the subject matter, like Taxation which changes often, you might just want to rely on your notes from CTA for the examination and only use the board notes that contains the updated information and questions. The main benefit of the board course is that it contains tests and mock exams which are of board standard. Make sure that you redo and redo those tests and mock examinations under exam conditions. By doing so, you are fine-tuning your technique to answering the questions. When attempting tests and mock exams on your own, make sure that you give yourself the full time to answer the question and then check against the solution. You missed a “trick” like auditing being integrated in a tax question. You did not read the question correctly or failed to pick up on the clues that was provided to you in the question. If you are missing the “tricks” and not interpreting the question correctly – I would adivse you get better at this by doing the following. Read the scenario without looking at the questions. Then compare this to the question and see how many possible integration questions you were able to match. Mark your solution and compare with the model answer. Make notes for yourself – did you manage to pick up all the integration topics? The more often you train yourself to apply your mind as suggested above, the more laterally you start to think. Lateral thinking and the ability to integrate complex topics is what QE1 is testing! Your objective then, is to become better at lateral thinking to consider a range of possible problems that a scenario could present versus being narrow-minded on looking for specific topics that need to be tested. University level examinations test your understanding on topics. Board examinations test your understanding on integration of these topics. The other advice which is sometimes not always possible, is to get someone to mark your script and provide feedback to you. Sometimes, having an independent person doing this, makes you more attuned to your possible areas of development. Take regular breaks – studying for too long periods tires your mind and limits your creativity. Walks in the garden, quick power walk in the neighbourhood, exercise at the gym – any form of exercise is crucial to keeping a fit body. Have something to constantly motivate you. I had two empty spaces on my wall, spaces for the frames that I would put up there when I passed. One space for QE1 and the other QE2. As long as I looked up and saw those empty spaces, it reminded me that I still had something significant yet to complete. Whatever you choose to have, it is important to have something, as this will constantly be an indirect motivation to pursue with your objective. By this time you should have gone through all your mock exams and questions. This week is about redoing and redoing questions that you have already attempted to fine tune your exam technique and timing. Go through the exam rules and regulations – make sure you understand these. Ensure you have sufficient stationery, including a back-up calculator. Ensure that your calculator meets the exam rules and regulations. Purchase your water / energy drinks / snacks that you may need during the exam. Have your exam number and printout on hand. Drive the route to the exam centre to ensure you know how to get there. Find out about possible traffic issues. You do not want to deal with these ON the day of the examination! Be aware of any possible detours / road works etc that might delay you on the day of the exam – map out an alternative route if necessary. Clear your work space of all books – put these away including the exam timetable! Get out of the house and relax your mind for the day. Watch a movie / go to the mall. Get a good night rest – early to bed and no last minute spotting the night before. Have pasta for supper – it is proven to supply energy over long hours which is needed to sustain you for the long examination. Have two alarms to wake you up in the morning. Decide on the most comfortable clothes to wear on the day of the exams. If you have a favourite “old and rugged” tracksuit – wear it! Even if you prefer certain colours, for example black – go to the exam with it. The idea is that you should feel as comfortable as possible. Decide whether or not you want to take your own clock for the table. Sometimes, depending on where you are seated, you are unable to see the main hall clock, so having your own desk clock can assist you. I used to find it useful to set my clock 5 minutes faster. Although you know you did this, it helps to speed you up in the exam. At the end it saves you incredible amount of reading time and extra time at the end to neaten your script. Leave early enough to be at the exam hall at least an hour before the exam is due to start. At the exam hall, avoid crowds that are talking about potential subjects – this includes your friends or colleagues. As far as possible stay on your own as the last thing you want to do now is to compare notes on what you can anticipate in this examination. Find a quite corner to wait until the exam hall is open to you. It is important to be in a calm state of mind before you write your paper. Seating arrangements – find your seat in advance and get comfortable as soon as you can. Some people like to start with questions that they are strong in. That is, they will start with taxation or auditing. Whilst this is sometimes a good approach, the problem with the board exam is that it is NOT predictable. Taxation and auditing may not even be tested on day 1 and only come out in day 2! So if you look for it in day 1 and do not find it, this can sometimes send you in panic mode which you don’t want to get into. The best approach is to take each question in the order presented. Stick to time limits. DON’T EVEN GO OVER for 1 minute! If the time is up, and you have not completed, just move on to the next question. Make use of the reading time. Know upfront how much time will be given and make use of this. Show all your workings – marks are given for this. Neat writing / logical thinking / proper planning of solution / use of paragraphs / underlining etc are all part of the solution and examiners will always give you marks for a well presented solution. Acknowledge that you are going to be VERY drained after writing on day 1. When you get home, allow yourself time to rest in the afternoon. Have a bath / watch TV / have a late lunch. In the evening, for a maximum of about 1.5 hours – go through some of your “Revision notes” that you may have compiled to date. Any intensive studying during this evening should be avoided. Again eat a pasta dish / potato salad in the evening will provide you with sufficient Carbo-Loading needed for the next day’s long paper. Come home and file away your exam paper. DON’T try to do a post mortem on it!! This is not worth the time and will only leave you feeling like you may have missed out something! DON’T talk about the paper to your friends or colleagues, especially comparing notes about what you wrote and what they did in the paper! Again, such discussions are destructive to your mental psyche and will only leave you feeling drained. I have had lots of experience and witnessed that when people think they pass – they fail; and those that think they failed, they then pass!! It comes down to either showing too much confidence or no confidence! The best approach is to be in the middle – balanced! The truth is, that in this exam – you can never be too certain of the outcome so rather not communicate as such! Prayer is powerful. I believe that there is a powerful force around you and me that looks out for us. Call it GOD, call it the All Mighty, Call it Ancestral Power. Whatever your belief – you have access to this power – all you have to do is to ask. So pray – ask for help, guidance and strength and believe in the power of your prayer. The results are released after 3pm – usually on a Friday. Apart from having to wait an ENTIRE week for your results – that Friday usually drags on in the moment of time. It is hard to be productive on the Friday after 2pm! If possible, agree with your line manager at the time to leave the office early or take the afternoon off. Your options to get the results (Being part of the office party where the results get revealed vs going to CAMPUS vs checking on the website) is entirely yours. If you are driving yourself, pay attention on the roads. Drive safely. Inform your close family / friends of the pending results so that they can provide you with support, either way. I wish you all the best in your exam and study preparation. Dineshrie Pillay is a CA(SA). 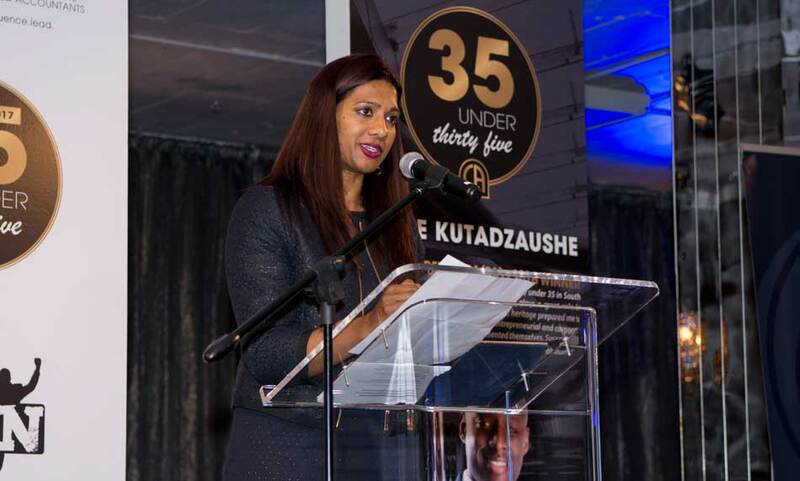 Dineshrie Pillay is the founder of Neospectives Consulting, a business leadership training firm. She is an executive coach and leadership development consultant.